A super soft and delicious yeast free Toasted Sesame and Garlic filled Naan, just so perfect used as a wrap or for mopping up your favourite curries. I love the nutty delicate flavour which the sesame seeds give to this naan. Adding a slight crunch and combined with chives, powdered cumin, and crushed garlic, it gives incredible flavour to the naan. If you ( like me ) are a lover of spicy foods, then go ahead and add a bit of dried crushed chilli flakes or a finely sliced green or red chilli to the mix. Remember this is totally optional, so use or leave it out if you prefer. This dough requires at least half an hour to rest before filling and rolling out. Resting the dough simply means, leaving it covered for a while, in this case about 30 minutes after kneading. 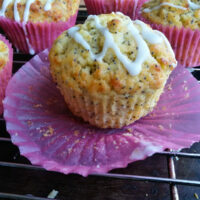 This allows the gluten in the flour to relax and the dough to become elastic so that it rolls out easier. If you do not leave it to rest, you will find that it shrinks back as you roll it with your rolling pin. Resting the dough also gives the cooked naan a softer texture. 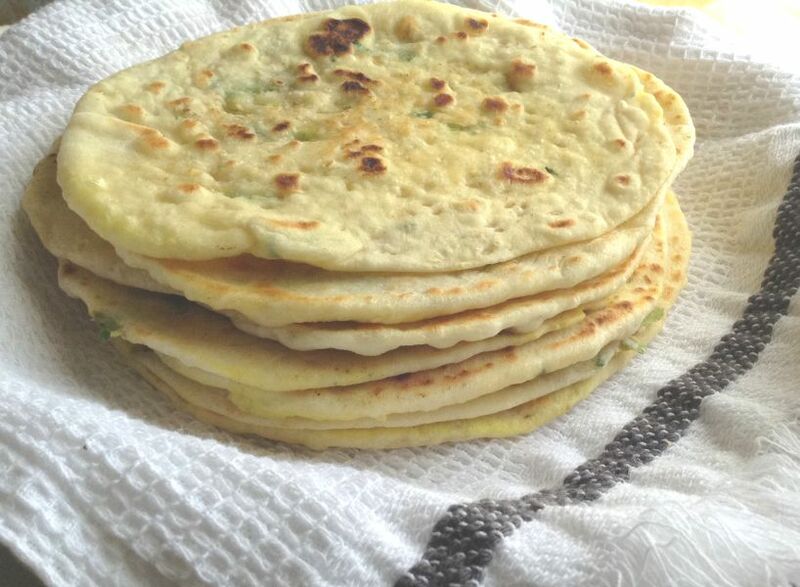 This recipe is really easy to make, using simple ingredients, you can have a delicious stack of naan in under an hour. Start by combining flour, salt, baking powder and bicarbonate of soda ( baking soda ) in a large bowl. Stir in the yoghurt, oil and water until the dough starts to form. Add a little more water if you find the dough too dry. Mix together to form a smooth soft dough. If you feel that the dough is too sticky, then just add a bit more flour. Up to a ¼ cup, extra added flour added should be fine. Allow the dough to rest for 30 minutes. During this time, you can make the filling. Do this by combining chopped chives ( shallots / green spring onions ) crushed garlic, crushed cumin, and toasted sesame seeds in a bowl. After the dough has rested for 30 minutes, divide it into 8 to 10 equal pieces. 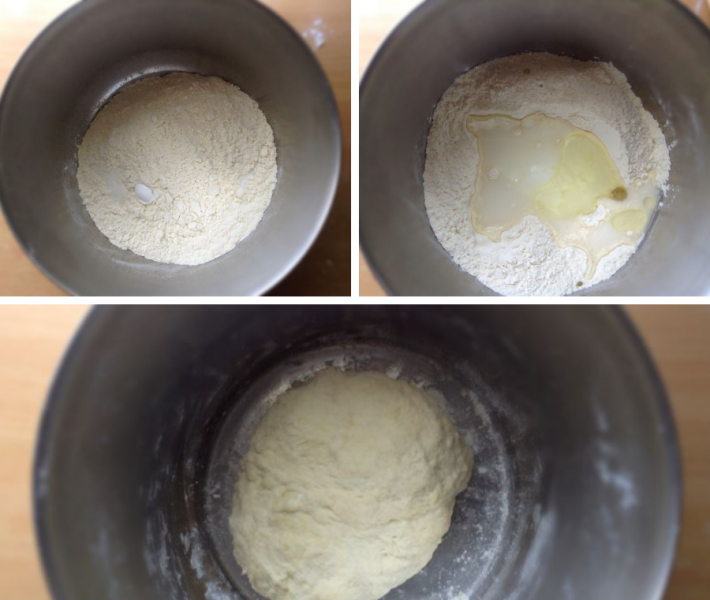 Flatten a piece of the dough to form a little circle. Place a teaspoonful of the filling onto the flattened circle and gather the dough to form a pouch keeping the filling inside. Flatten the filled dough and gently roll out to about a ¼ cm thickness onto a floured surface. 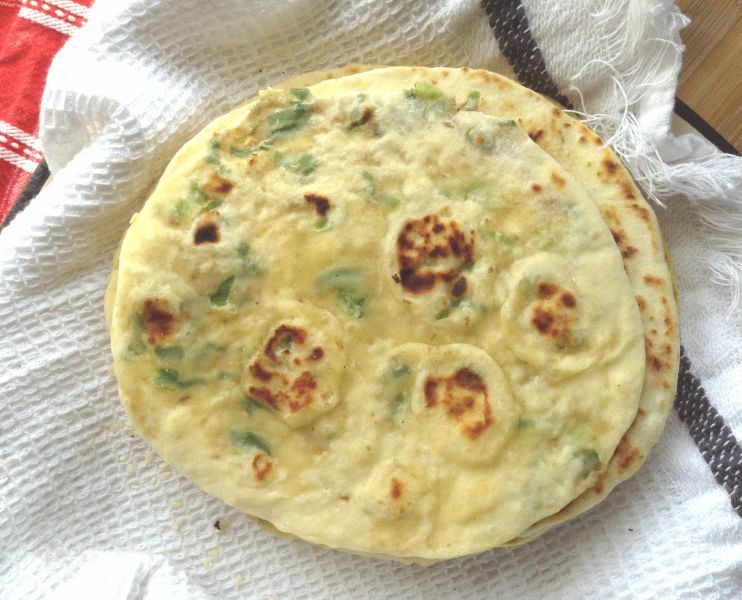 Avoid rolling out the naan too thick, because it will puff up while cooking on the pan. Rolling it out too thick will also result in a stiff textured naan when cooked and it will lose that soft, pliable texture. Once the naan is rolled out, brush it with a little melted butter and place the buttered side down onto a pan on medium heat. You will see bubbles appear on the surface. When this happens, brush the top with the melted butter and using a spatula flip the naan over. Cook on each side for about 45 seconds. Continue and do the same with the rest of the dough and filling. 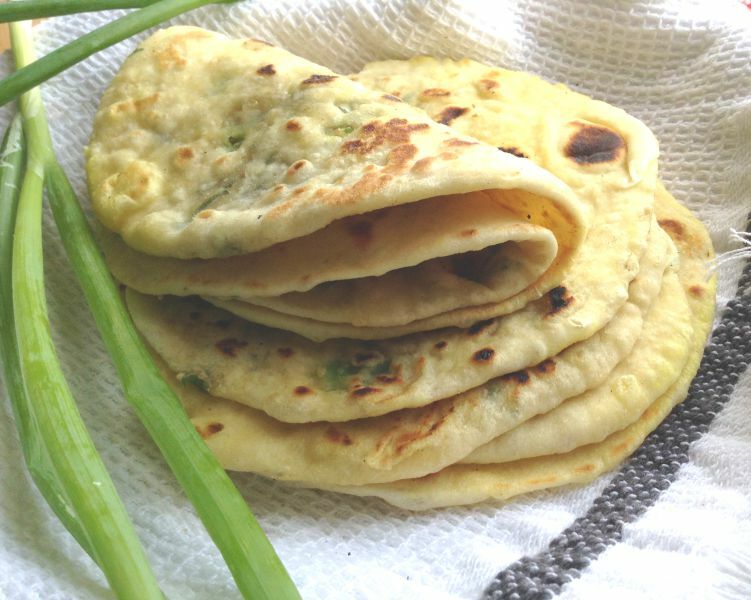 Stack the cooked naan and keep covered with foil or a tea towel. The moisture will help soften the naan and make them more pliable. 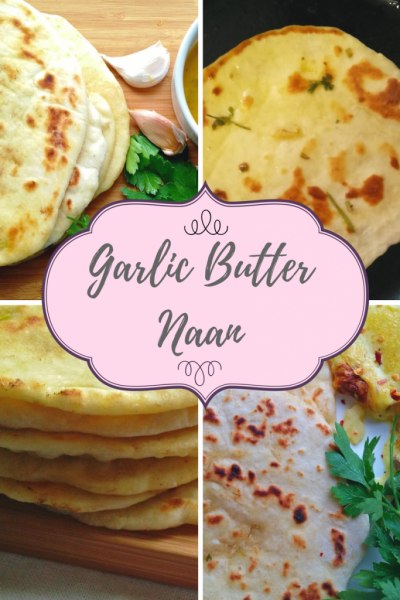 Give these a try the next time you want to try out a new naan recipe, filled with an amazing combination of flavours and texture, and irresistible deliciousness. 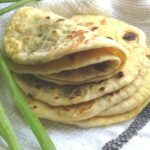 A super soft and delicious yeast free Toasted Sesame and garlic filled naan, just so perfect used as a wrap or for mopping up your favorite curries. 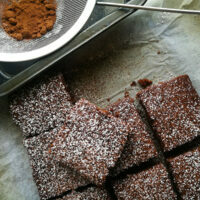 Combine flour, salt, baking powder and bicarbonate of soda ( baking soda ) in a large bowl. Stir in the yoghurt, oil and water until the dough starts to form. Add a little more water if you find the dough too dry. Mix together to form a smooth soft dough. If you feel that the dough is too sticky, then just add a bit more flour. Up to a ¼ cup extra added flour added should be fine. Allow the dough to rest for 30 minutes. 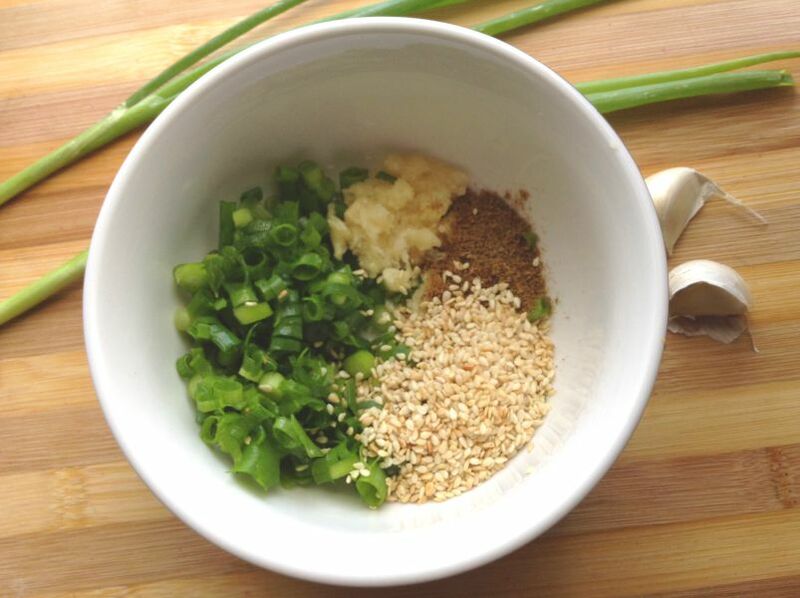 Combine chopped chives ( shallots / green spring onions ) crushed garlic, crushed cumin, and toasted sesame seeds in a bowl. 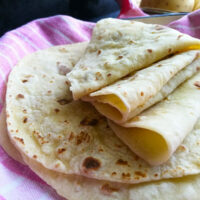 Stack the cooked naan and keep covered with foil or a tea towel. The moisture will helps soften the naan and make them more pliable. Toast sesame seeds in a dry pan over medium heat for 3-5 minutes or until lightly browned, stirring occasionally. 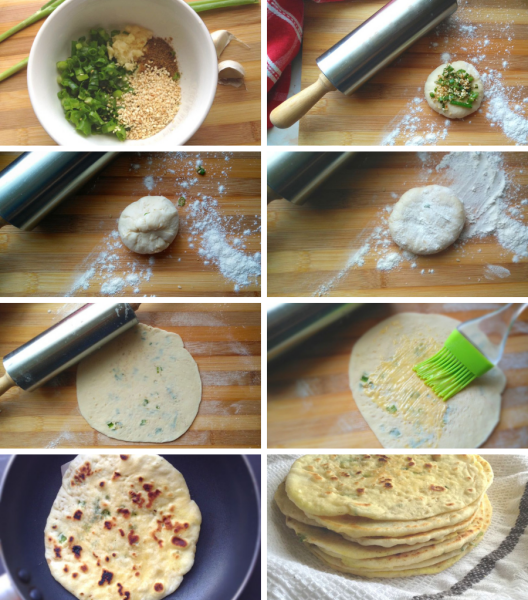 Thanks for this excellent sesame and garlic filled naan recipe Ashika. It’ll make a change from the plain naans I usually make every Sunday. Lynne will love these! I want to come to dinner at your house! Sesame is one of my favorite flavors. 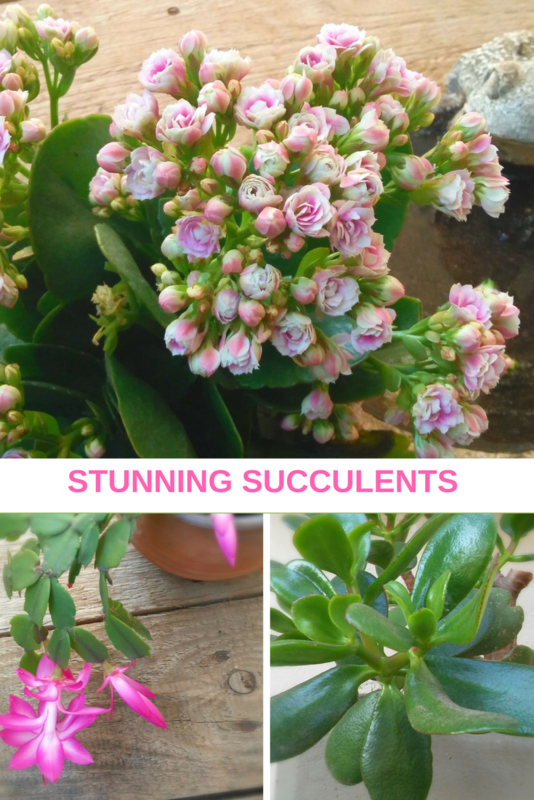 Combine it with garlic and I’m all over it! 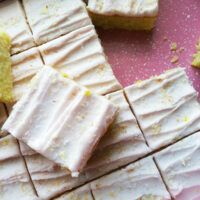 I can almost taste these already! You always have the best bread recipes, so creative and packed full of flavour.